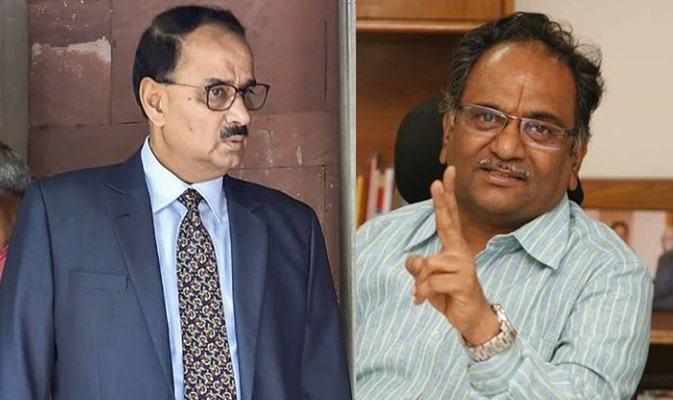 Former Information Commissioner Prof. M. Sridhar Acharyulu has written to President Ram Nath Kovind, reiterating his demands for transparency in the process of appointment of Information Commissioners under the Right to Information Act. The letter also advocates for selection of Information Commissioners from diverse fields, rather than the current trend of choosing only those from administrative fields. "Most of the times the Commissioners are selected only from one field- Administration, ignoring all other walks of social life mentioned in the RTI Act, which I have advocated in my earlier letters. Kindly ensure that this Government selects suitable persons from all those areas without confining only to former bureaucrats. (I do not mean anything against the selected eminent personalities)," it states. The letter begins with excerpts from the President's speech during the annual convention of the Central Information Commission last year, when he said that there was no such thing as too much information in a democracy. It then alleges the existence of a "serious information deficit" relating to the appointment of Information Commissioners. "This is essence of democracy, Sir. Why not this information, i.e., "power", be given to people? Don't they have right to know? Information deficit about Information Commissioners will not enable citizen to take up the issues with CIC with confidence. People must develop trust in Commission and Commissioners appointed so that they can take informed choices and informed decisions to approach them in complaints and second appeals seeking information denied by the public authorities unreasonably and against RTI Act," it states. The letter points out that Section 4 of the RTI Act mandates voluntary disclosure on all appointments. It then asserts that the "Government takes steps to fill the vacancies only when the judiciary goads them and reviews the process like a super boss, in the public interest litigations filed by public spirited persons". In the same vein, the letter seeks disclosure of all the documents and reports that became the basis of removal of Alok Verma as CBI Director. Highlighting the importance of instilling transparency in all institutions including the CBI and CIC, it states, "Let me refer to the demand of Leader of Opposition Mr. Mallikharjun Kharge, who is a member of high level committee that met on January 10, 2019 and decided by majority of 2:1 to remove Alok Varma from the post of Director CBI, for complete information, CVC report or any other document that formed basis for their decision. Undoubtedly the Committee has power to remove the director as confirmed by the bench of Supreme Court, but is it not necessary to disclose all material reports considered for removal to be made available to the public in general and members of the committee including Mr Kharge in particular?"